We're often told that small churches are failing at church growth. But sometimes church growth ideas are failing in smaller churches. I also love the Church Growth Movement. It’s brought some wonderful benefits to the church in the last 40 to 50 years. A renewed emphasis on outreach, accurate assessment tools, and an openness to try new methods are just a few of the positives. But every good idea also has unexpected consequences. For the Church Growth Movement, this has included a tendency to overemphasize numerical increase to such a degree that it discourages pastors and churches when they don’t hit expected numerical marks. Every movement has a vested interest in promoting its success stories rather than its typical results. Church growth principles don’t work in most small churches. The tendency is to blame the churches and their pastors. We must be doing something wrong. Of course, we are doing something wrong. No church or pastor does everything perfectly. But some churches get it 90 percent right and grow exponentially, while others get a different 90 percent right and continue to remain static numerically. Plus, we all know of some cases where churches grew dramatically, only to discover a cancer on the inside that, once exposed, sinks the ship entirely. They were doing the basics wrong, but still grew like crazy. Meanwhile, thousands of faithful, godly pastors are leading healthy, vibrant churches with no skeletons in their closets, yet they continue to struggle numerically. 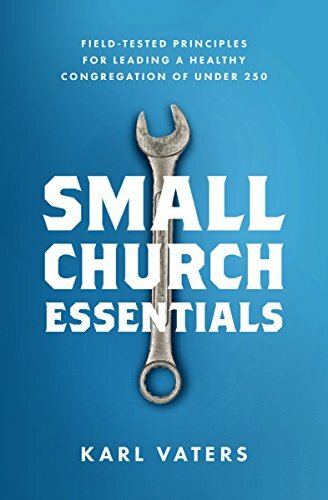 From my decades of study, pastoral experience and conversations with hundreds of small church pastors, I’ve discovered three primary reasons church growth principles fail in small churches more often than they succeed. Most church growth advice comes from bigger churches. This is understandable. They’re the ones that it’s worked for, after all. But because of that, their ideas usually apply best in a big church context. So if you pastor a church of 1,000 you can use the principles taught by a pastor of a church of 10,000. Just drop a zero. But if you pastor a church of 100 or less… that’s a different story. For small churches, it’s not a matter of scale. Using big church ideas in a small church is like substituting peaches for pumpkins in a recipe. Sure, they’re both orange(ish)-colored fruits (I Googled it – pumpkins are a fruit), but they’re hardly interchangeable.